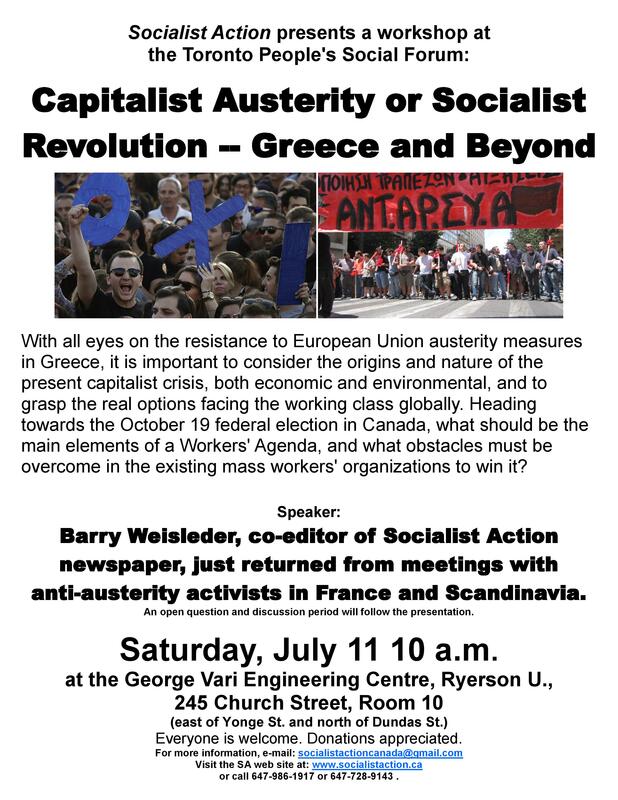 Socialist Action/Ligue pour l’Action socialiste will host a work shop titled “The fight against capitalist austerity is also a fight against the leadership of the unions and the NDP.” SA/LAS members from Hamilton, Toronto, Kingston and Montreal will staff a literature display, demonstrate with thousands on to Parliament Hill, and participate in an assembly of labour militants aimed at launching a cross-union, cross-country labour left opposition. The PSF is part of the global movement of social forums that have emerged at different levels since the first World Social Forum (WSF) was held in Porto Alegre (Brazil) in January 2001. The latest World Social Forum was held in Tunis in March 2013, which will be the site of the 2015 gathering.